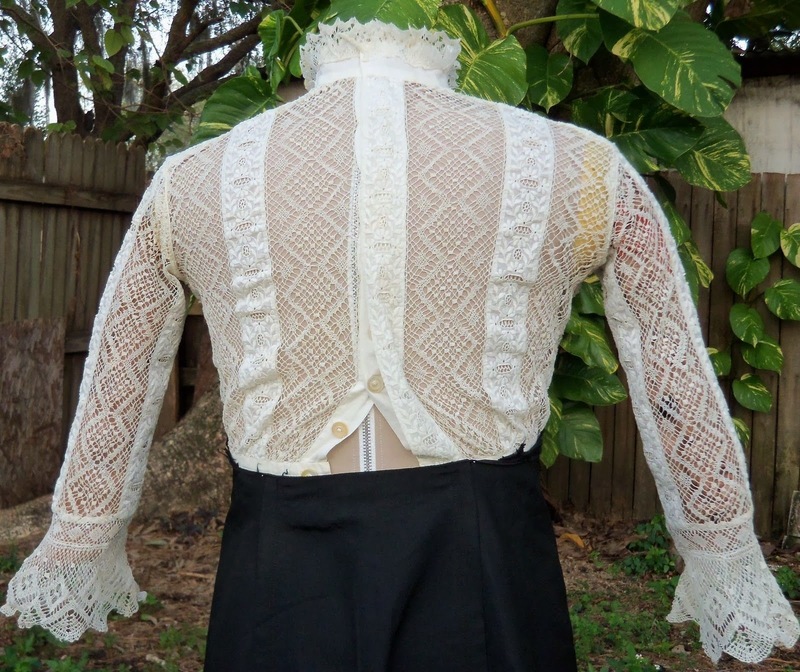 This auction is for a fantastic Edwardian blouse. It is constructed of fantastic embroidered insertion and panels of lace. It closes at the back. It looks like the blouse originally was part of a whole dress. 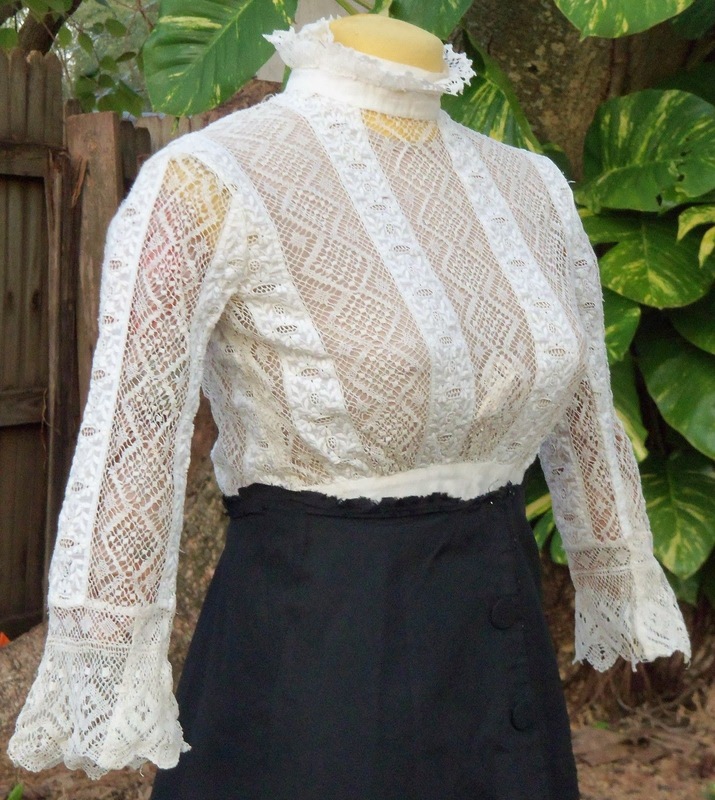 The lace is exquisite and would show beautifully over a colored silk camisole or tank. Id you're especially daring, a colored bra would work for evening or cocktail wear. My favorite detail is the ruffled collar- so fashionable this season! 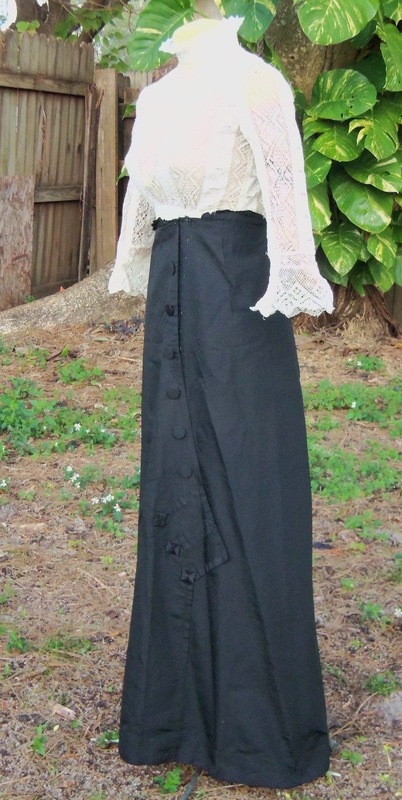 The blouse is shown displayed with a beautiful silk walking skirt which is not included. Condition is Excellent, clean and strong! I can find nothing worse than a light spot on the collar band and a loose thread or two. It's absolutely strong and wearable! Measurements are: The bust is 34 inches & the waist measures 24 inches. 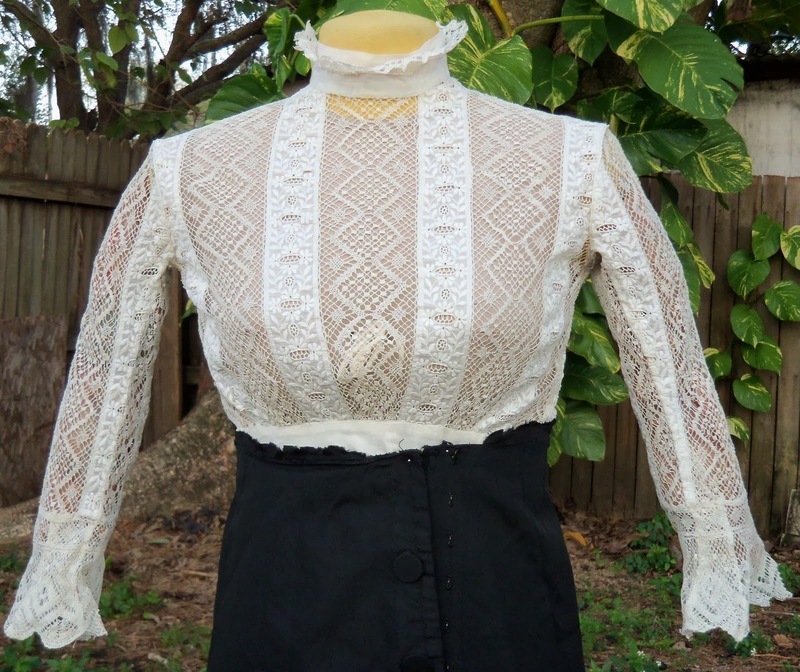 I have a few blouses like this - and a few skirts too! They are pieces that were once lovely dresses but someone took them apart to sell for lace and scraps. Every so often, I hope it was done within a few years of the age of the dress - that way, you know that it wasn't really a historical piece yet. However, often, that isn't the case. I think this one is right around that 1908-1911 time line. The high neck stayed pretty common well into the 1910's (and, really, all the way until the 1940's in some cases) but the high waist would put it in the neo-directorate.